A VALENTINE WORKSHOP . . . for all ages! Make a unique greeting card for a special loved one. Sutter Creek Gallery invites you to come in on Sunday, February 8, and Saturday, February 14, between the hours of 10 a.m. and 2 p.m., to create a one-of-a-kind Valentine card. This is a free workshop with all supplies included. Children are to have an adult in attendance. Sutter Creek Gallery, a cooperative of local artists, is located at 35 Main Street in the heart of Sutter Creek. For more information on the card workshop or the gallery, call 209-267-0228 or email suttercreekgallery@gmail.com. Also visit our website at suttercreekgallery.com. The Mother Lode Friends of Music, the regional organization offering classical music performances, opens the new year with a concert of chamber music on Sunday, January 25, starting at 2 pm at the Church of the Nazarene, 14050 Ridge Road, in Sutter Creek. There is no admission charge and the concert is open to the general public. 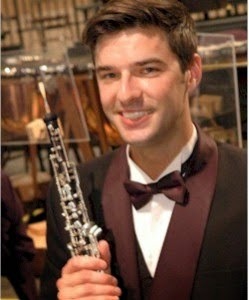 Oboist Jesse Barrett from San Francisco is the featured performer in a program of music for oboe, strings and piano. Barrett received his undergraduate training at the Conservatory of Music of the University of the Pacific in Stockton and a Master’s of Music from Boston University. He plays regularly with orchestras throughout Northern California and Nevada, and is principal oboe with the Merced Symphony and Townsend Opera in Modesto. He recently was the soloist in a performance of the Double Concerto for Oboe and Violin of J.S. Bach with the Merced Symphony. Joining him are violinist Gil Carroll of Milpitis, violist Raphael Gold of Oakland, cellist Russ Bartoli of San Francisco and Friends of Music President, pianist Ron Brickman of West Point. All are seasoned performers of chamber music and veterans of the Friends of Music series. The program includes the Quartet for oboe and strings of W. A. Mozart, the Trio No. 1 for violin, cello and piano of contemporary American composer Lowell Liebermann, the Capriccio for oboe and piano of 19th century Italian composer Amilcare Ponchielli, and the Quintet for oboe, violin, viola, cello and piano of French Romantic composer Théodore Dubois. For more information, contact the Friends of Music web site at www.mlfm.org or call (209) 293-4227. The date is drawing near and the excitement is building, as final touches are being tweaked for the opening of the Mokelumne River Arts Project called “River Reflections” on Saturday, January 10 in Sutter Creek. Many are already intrigued to see the living human water fountain which will be spouting Mokelumne River water synchronized to music on the sidewalk in front of the Hotel Sutter. The public is invited to come to the hotel at 53 Main Street, between 2:00 and 5:00 pm for a reception to celebrate this major event, a month-long exhibition of original artwork that showcases the 97-mile-long river that is the source of water for 1.4 million people. The 40 pieces of visual and literary art were recently created by artists from Calaveras and Amador counties who followed up on a Call for Artists by Amador Arts. The human water fountain, titled “The River is a Woman,” is the creation of Pine Grove artist Leslie Vasquez who entered the project in the Performance Arts Category. Her large granite-looking statue incorporates hidden tubes and mechanisms to hold and spurt water. Like the fountains in Las Vegas, hers will also move to music that her husband musician David Vasquez composed, performed and recorded. The reception on January 10 will be the first opportunity to view the final visual art submitted which includes paintings, photography, work in ceramics, glass, and jewelry, and most will be for sale. Featured will be an entry in the Literary Arts category, a poem created and read by Kevin Fritson. Music, as well, is a category in the project, and Meghan O’Keefe will be performing her original River Reflections composition. The premier of a short video which has been produced about the project and its artists will also be featured at the reception. The River Reflections exhibition will continue at the Hotel Sutter, open seven days a week, through January. In February, all the artwork will be moved to be showcased in the headquarters building of EBMUD in Oakland, and will return in March for a showing at the historic Hotel Leger in Mokelumne Hill. River Reflections is a landmark arts endeavor created by AmadorArts, aka Amador County Arts Council, as a “Creative California Communities” Project funded by the California Arts Council. 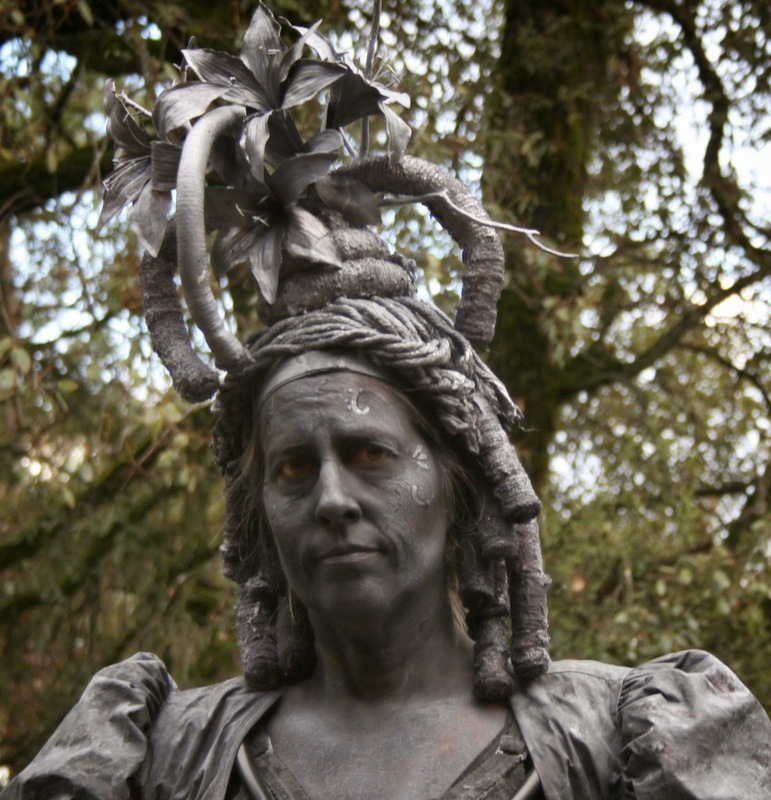 Project partners are the Calaveras County Arts Council, the Foothill Conservancy, and East Bay Municipal Utility District. For more information, visit www.amadorarts.org or call 209-267-9038.